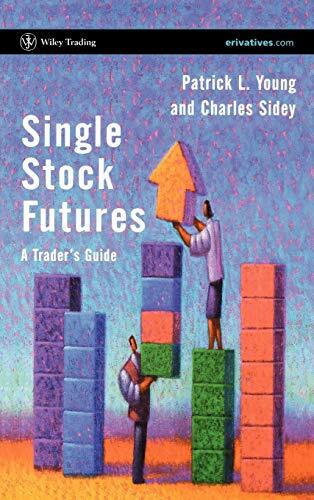 Single Stock Futures are regarded by many as the ultimate derivative. Having finally made their US trading debut in November 2002, the market is set for explosive global growth during 2003 and 2004. Written by experienced traders, this is the first practical guide to this exciting new product as increasingly traded throughout the world. PATRICK YOUNG is Executive Chairman of erivatives.com, and has been instrumental in the development of single stock futures worldwide. The author of the bestselling Capital Market Revolution, he has advised various exchanges, investment banks and governments about capital market strategy. Patrick is a regular guest on CNBC Europe, a respected media commentator and a highly regarded keynote speaker and lecturer. CHARLES SIDEY has considerable experience in both retail and institutional brokerage. He helped to set up the CreditAnstalt Global Futures operation in 1995 and subsequently was closely involved in the establishment of Global Dealing Direct. He is noted for his teaching of the financial markets to students and traders alike.